Seriously, folks, San Diego Comic-Con isn't for another ten days. What's with the influx of all these highly newsworthy items I must comment on? Seriously, if they're releasing these reports prior to SDCC, I'm salivating over what they could possibly announce at SDCC. If anyone ever had any doubts as to just how influential Jack Kirby really was, doubt no longer. A few days ago, Dynamite Entertainment released a teaser image that would have gotten enough fanboys salivating. It was Alex Ross's rendition of Captain Victory (or at least, Captain Victory is the only one who could be made out), with the words "KIRBY Genesis is Coming!" Dynamite's official blurb was simply, "Dynamite presents Alex Ross, and he's bringing a friend!" I had assumed that the "friend" was a figurative reference to Jack Kirby, and that Ross would have a consultant's role, just as he does with Project Superpowers, the revival of Golden Age heroes (including the Golden Age Daredevil, whom I have a particular fondness for) and do the covers, just as he does with The Green Hornet. I haven't read Green Hornet, but I've honestly been disappointed with Project Superpowers, mainly because I think the person doing the interior art was sub-par (and the story really paled in comparison to that of The Twelve, which had a similar premise and was coming out at the same time... of course, to its credit, Project Superpowers is still coming out) and I was prepared to dismiss the Kirby project as being more of the same stuff, unfortunately, until today, when they announced Kurt Busiek as the writer of the project, and released this full image of Ross's Kirby painting. 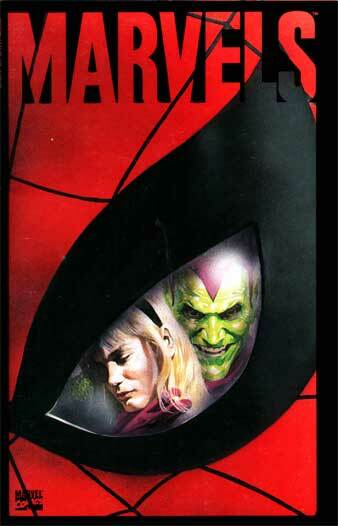 When I read the announcement that Kurt Busiek was writing it, my jaw literally dropped, and my eyes widened. And I said "Holy crap." All of a sudden, the project turned into something I may want to look at to something I'm really interested in. You see, here's the deal. For this story, any characters fully owned by Jack Kirby can make their way into the final pages. I'm unfamiliar with the Kirby characters. I know that Captain Victory had a very important effect on the direct market distribution, and that, as a tiny little Easter Egg, he was supposed to be Orion's son. And I know the names of some of the characters, most notably Silver Star. See, a few things, not the least of which is money, prevent me from pursuing the purchases of these books. But I always wanted to know more about them, and in Busiek and Ross, we have the perfect team to do so. See, what was Busiek and Ross's first collaboration? Oh right, 1993's Marvels, where they chronicled the history of the Marvel Universe, from the first appearance of the Human Torch to the death of Gwen Stacy. Marvels was written in such a way that you didn't have to have encyclopedic knowledge of the characters and their histories to understand it. 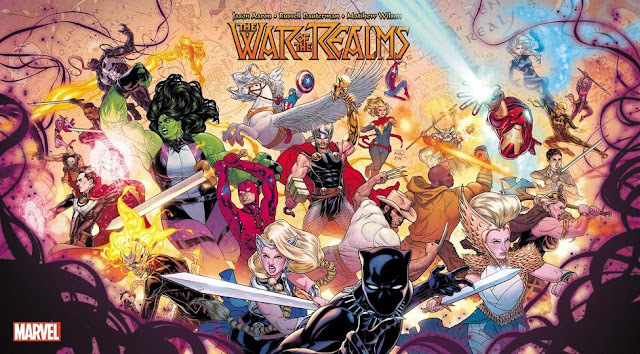 It was not just a great introduction to the Marvel Universe, but also a great piece for longtime fans that highlighted what was special about the universe itself. 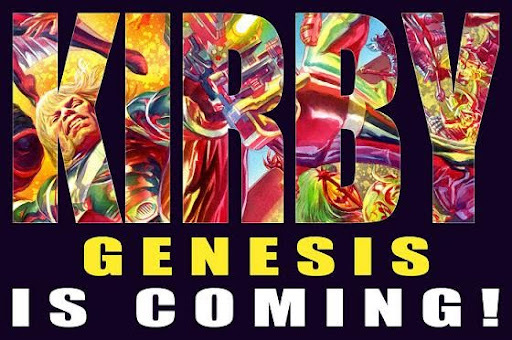 If Busiek and Ross can work the same magic with the Kirbyverse, I will consider it to be very successful. 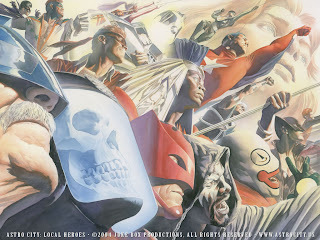 Busiek and Ross also work together on Astro City, with Ross helping out with some of the conceptualizing and the designs, while Brent Anderson actually draws the interiors. Unfortunately, no one is sure of Ross's full role yet - it's widely believed that he'll be at the helm and providing covers and maybe some interiors, but the main interior artist has yet to be announced. So that'll be the deciding factor for me. 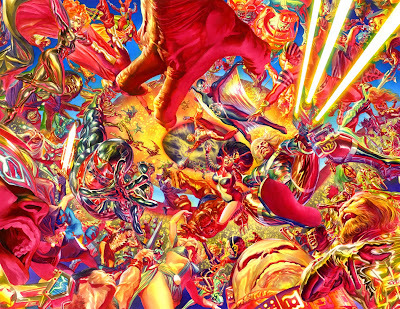 Alex Ross working on Jack Kirby stuff intrigued me, Kurt Busiek's involvement made me very interested, and it'll be the choice of artist that will now be the deciding factor on whether or not Kirby: Genesis goes into the "I'll pass on this one for now and see if I can just catch it in the future," or "OH MY GOD, I MUST HAVE THIS!" I have some thoughts about who should draw the interiors, but that's a post for another time!